Get a Marin County Traffic Ticket? You Can Beat It! Did You Get a Ticket in Marin County, California? You can fight Marin traffic tickets by getting them dismissed much easier than you may think. In Marin, California, drivers are allowed to contest a traffic ticket using a Trial by Written Declaration. This is best way to fight a traffic ticket without going to an Marin courthouse or hiring an expensive Marin traffic ticket lawyer. We have found this to be the best way to contest a California traffic ticket, period. This option is available to every driver who receives a traffic ticket in Marin, California. In fact, if you turn over your traffic ticket you will see that a Trial by Written Declaration is listed right on the back of your ticket as one way to fight it. This process has been around since 1978 to avoid having to pay traffic ticket fines. TicketBust has been helping California drivers prepare Trial by Written Declaration’s for over 15 years. In fact, tens of thousands of vehicle tickets in California have been contested using our system. We are the original traffic ticket fighter and the TicketBust system has been developed specifically to prepare all your documents properly based on how you answer a few questions. This way you can fight your ticket, knowing you have maximized your chances of having the court dismiss your Marin County traffic ticket. When you contest a ticket using a Trial by Written Declaration not only don’t you need to go to court, but you don’t even need to take traffic school if the ticket is dismissed. If the ticket is dismissed, no point will appear on your driving record and the bail will be refunded to you in full. If the ticket is not dismissed and you are eligible for traffic school, then you should still be eligible after a Trial by Written Declaration. TicketBust service will prepare your full defense package for you, which includes your Trial by Written Declaration and all the defense documents required by Marin traffic court. Fill out the yellow form to fight your Marin traffic ticket now! Did you know that you aren’t allowed to pass the white limit line when you are stopped at an intersection? From our experience, this can be a common ticket issued in the county of Marin, so be on the lookout and stay behind that solid white line. If you find yourself having received a traffic ticket in Marin, give us a call or fill out our form to see how we can help! Marin County was named after Marin (baptised under the name Marino), the great chief of the tribe Licatiut. In 1821, Marino served as an expedition guide for the Spanish for a couple of years before escaping and hiding out for some months in the tiny Marin Islands, also named for him. He was recaptured and spent a year incarcerated before he returned to the Mission Rafael area until his death in 1839. Mission San Rafael Arcangel was founded in what is now downtown San Rafael as the 20th Spanish mission in the colonial Mexican province of Alta California. 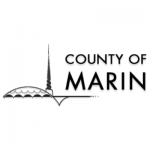 Marin County was one of the original counties in the state of California, formed in 1850 as California gained statehood. Marin County is one of the smallest counties by area, with a total area of 828 square miles, of which 37 percent is water. The county lies west of the San Pablo and San Francisco Bays, north of San Francisco, south of Sonoma County, and sits on the coast of the Pacific Ocean. Roughly 261,000 people reside within Marin County. As of 2010, Marin County had the third highest income per capita in the United States, partially due to the great number of high-tech companies in the area. Skywalker Ranch, a movie ranch and workplace of George Lucas, creator of the Star Wars and Indiana Jones franchises is located in Marin County. Ironically, the ranch is located on Lucas Valley Road, named for a previous landowner who was not related to George Lucas. The United State’s oldes cross country running event also takes place in Marin County. The Dipsea Race attracts thousands of athletes annually to the area.